Jennifer Godin received her Bachelor’s Degree in Science from the University of Utah in 2001. In 2005, she received her Master’s Degree in Education from the University of Phoenix. While going to college, Ms. Godin worked at the Boys and Girls Club as a counselor. In 2003, she became a Coordinator for the Boys and Girls Club, and worked for the Colors of Success Gang Prevention Program at Dee Elementary School, serving as a mentor and coach to designated students until 2004. That same year, she was hired as their School Counselor. During her counseling years with Ogden School District, Ms. Godin has worked at Gramercy Elementary School, Surpass High School (Youth in Custody), Mound Fort Junior High School, and currently at James Madison Elementary. helping at-risk-kids. Her passion has been to work with inner city families and provide them support and resources to help them be successful. She puts her heart into her job every single day. You can see this dedication has paid off, through the numerous graduation invitations she receives from former students and in the letters from parents expressing their appreciation for all her support. In addition, through her continous hard work, dauntless commitment, and unwavering perseverance to make a difference in the lives of our students and the community, Ms. Godin was recognized as the 2015 State School Counselor of the Year, where she was chosen to represent the State of Utah in Washington DC. 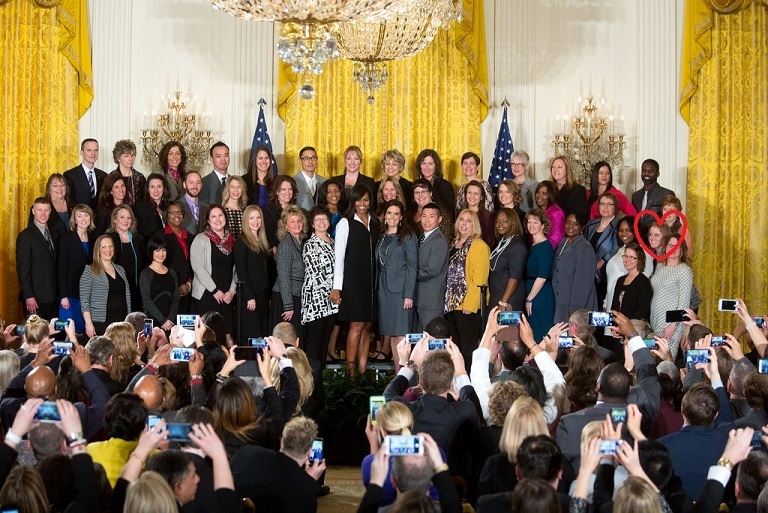 She, along with the other school counselors from around the nation met with the First Lady Michelle Obama and received her Plaque of Appreciation on January 26, 2016. The Comprehensive Counseling and Guidance program at James Madison Elementary is designed to provide a school wide support system for each student. The systemsconsist of classroom lessons, group counseling sessions, and individual responsive seervices. If you wish for your student to recieve counseling services beyond what is provided in the classroom,a permission slip must be signed and returned to the counselor. A permission slip can be obtained from the office or the counselor.